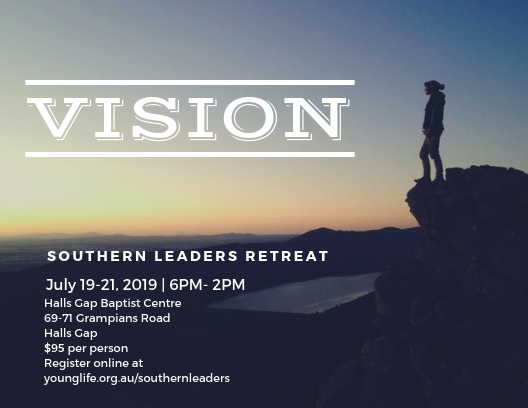 The Southern Leaders Retreat will be a time to reflect and refocus, together and individually. We’ll take some time to remember the importance of fun and well as spiritual health. This is a combined Young Life Monash, Barossa and Hobart event aimed at those currently serving with Young Life. Fill in your details below and you’ll be redirected to a payment page. Look forward to seeing you!